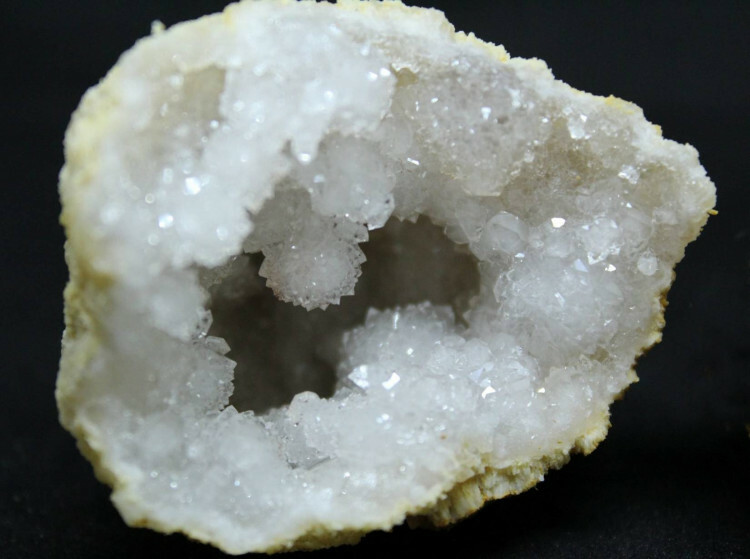 Beautiful Quartz Geodes – these are unopened and will need to be opened with a hammer or a saw. Sold in a variety of sizes! 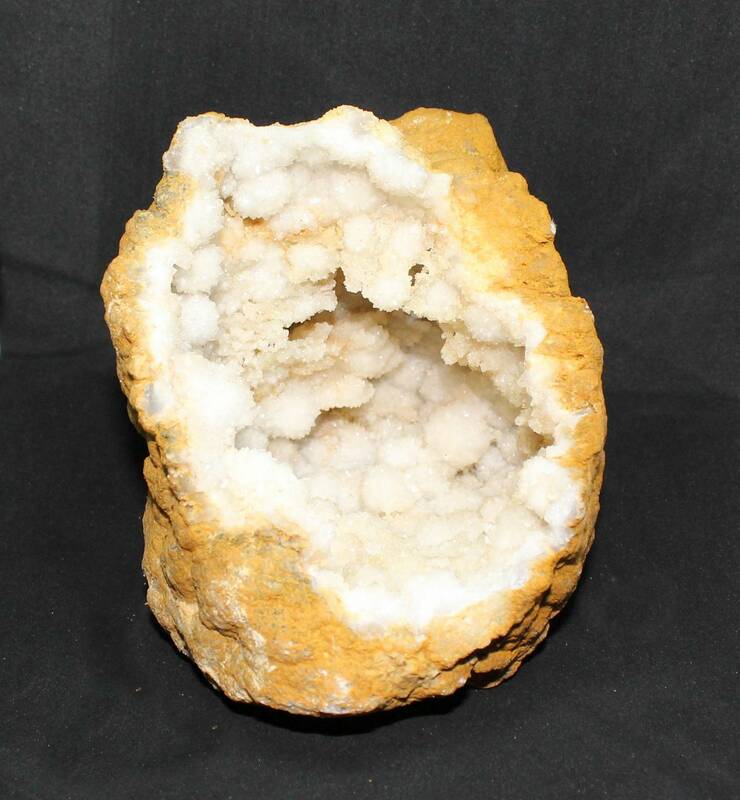 These amazing Geodes are available in a range of different sizes – we sell them by weight. They are primarily clear Quartz, but there may be some Calcite geodes too. It is almost impossible to tell without cracking them open. 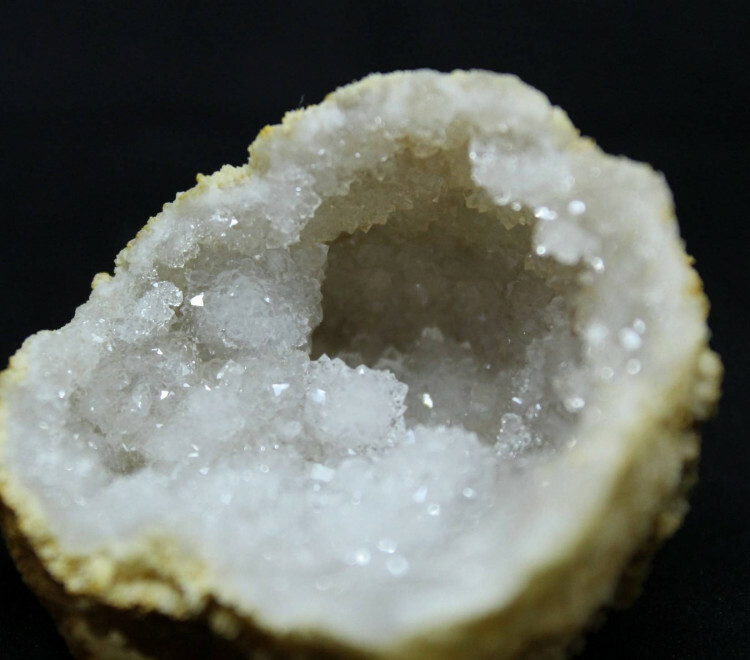 These geodes have a reasonably large air gap in the centre, which makes them quite easy to crack – you could use a hammer, or any other heavy metal object, but the more precise, the better – a rock hammer is ideal. I have opened several of these peoples with a regular claw hammer, so it is definitely possible to do it with basic tools. These pieces are complete, and do not have any chips missing. The cavity inside is complete and has never been seen. These pieces all have some fairly small pieces missing; but the main cavity is mostly intact. The missing pieces usually only measure a centimeter or two, and aren’t a massive issue (afterall, you are breaking the rock in half!). In some cases there will be larger pieces missing with Quartz and crystals visible, but the hole into the main cavity will only be a centimetre or two. 200-500G Small geodes, usually measuring 3-7CM long approximately. 500-750G Medium sized geodes, usually measuring around 4-10CM long approximately. 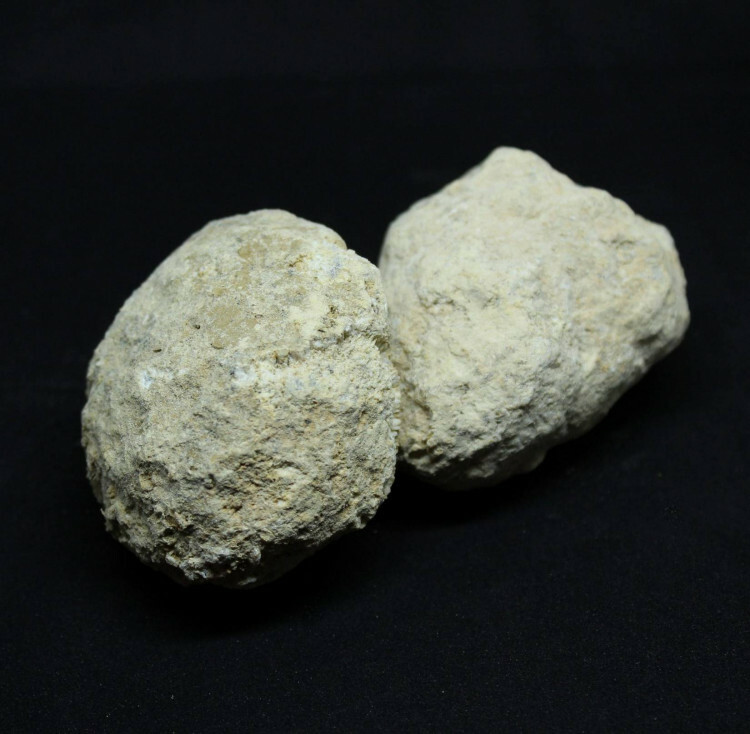 750-1000G Large geodes – these typically measure 8-15CM long approximately. 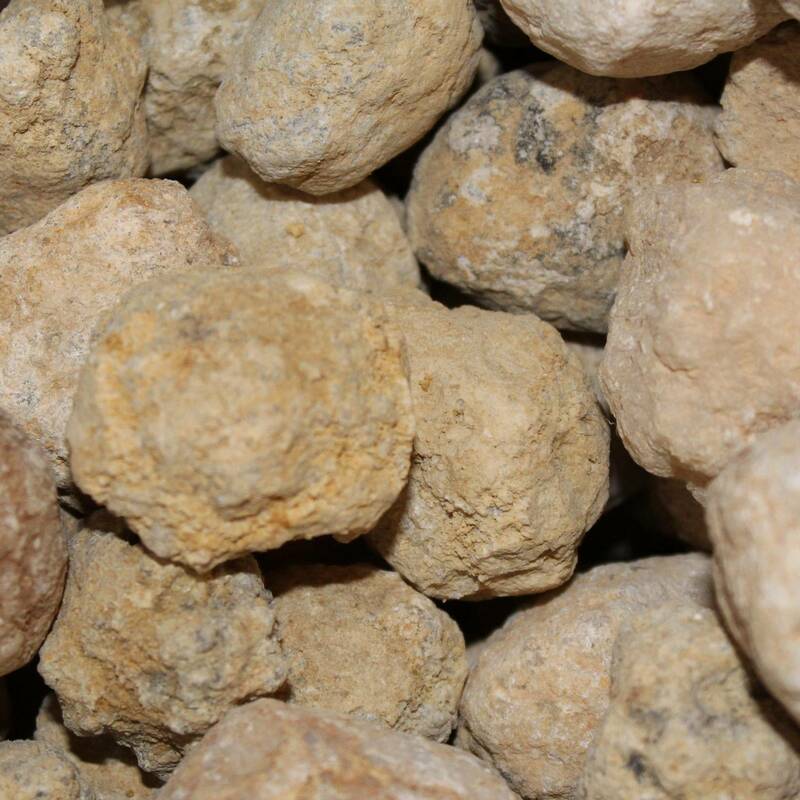 1000-1500G Extra large geodes – a hot seller when we can get them. They measure 10-20CM usually. 1500-2000G Extra extra large geodes – we don’t get these often. They measure 10-25CM usually. 2000-2500G Huge geodes, measuring between 15 and 30 centimetres long. 2500-3500G Absolutely huge geodes, measuring between 15 and 35 centimetres long. We do not get these very often at all! Check out our video below, showing me opening one of our large geodes with a regular claw hammer. 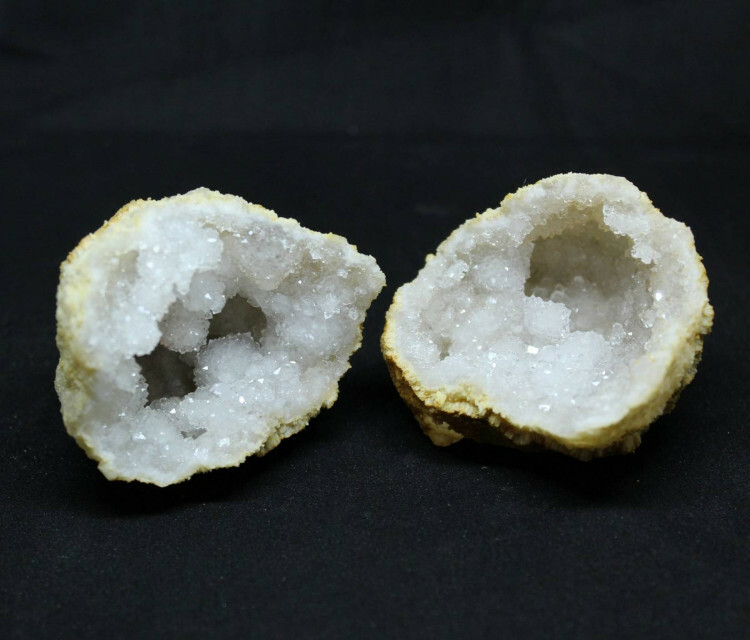 Due to the nature of our Break your own Geodes – it is simply impossible for us to guarantee satisfaction without opening them. If you receive a Geode that does not contain any crystals, or your Geode was broken in transit, please contact us for a replacement item. We cannot be held responsible for any injuries incurred when you break your own geodes – please make sure to wear safety glasses and gloves at minimum, and wash geodes thoroughly after breaking. The internal crystals may be very sharp. Children should be supervised at all times while opening Geodes. We sell a few other Geode products, including some smaller ones – we also hope to sell pre-cut Geodes quite soon. Our 9 year old grandson was thrilled to be given a geode for a Christmas present. It was not too difficult to break open and was full of sparkly white crystals. He was delighted. Very very happy with the large grade B geode that arrived today. A small hole in a massive rock won’t dent the excitement of cracking this bad boy open. My 9yr old son will LOVE IT! Thanks!